Croatia is hosting this year’s meeting of 16 prime ministers of Central and Eastern European countries with Chinese Premier Li Keqiang. It is the 16+1 framework originally designed to bolster trade between China and the European countries. The heads of governments of all 17 nations will be meeting for the 8th time. CGTN spoke to Croatians in the country’s capital to hear their thoughts on the Eastern European nation’s ties with China. A recent opinion poll says 89 percent of Croatian citizens consider China as a friendly country, and 85 percent of the entire population would like to see more Chinese investments in Croatia. So to check whether that opinion poll is valid, we went to the streets of the capital Zagreb to speak with citizens. We met Senka Jovicic, a Croat living in Sweden, and now visiting her motherland. Senka didn’t hide that she’s impressed with China and that she favors China over the West. “I personally like China and I think that in the future China will be the leading nation of the world and will shine even more. So, I think it is good to have China as a friend,” said Senka. Just last summer, a number of police officers from China joined their Croatian counterparts to patrol the streets of several tourist sites here. It was an initiative from Croatian police to both strengthen relations with Chinese colleagues and also to make Chinese tourists feel more at home. As Tomislav Gulan, head of strategic international police collaboration at the Croatian interior ministry told us, Chinese police officers’ presence in those tourist sites was welcomed by all. It is not just the police and tourists that build bridges between the two nations. There is also a rapidly increasing number of joint projects. Everything started with Chinese investment in world-famous electric super-car producer Rimac Automobili, then followed by an investment in Krapinske Toplice Spa, and topped by the huge construction project for the Peljesac bridge. The latest Chinese acquisition in Croatia is the small port of Zadar on the Adriatic coast. On the eve of Premier Li Keqiang’s visit to Croatia, expectations here are high that new investment and trade deals will be reached in spite of some opposition from the EU. Zoran Meter, editor of the Geopolitika.news website, said the EU is not so happy with these countries’ direct collaboration with China. “I think there will be more Chinese investments in Croatia and the EU doesn’t have the means to stop that. They will try to do something by changing the laws, to equalize the trade deficit with China. In the long term, a balance will be reached, but regardless of everything China will get a stronger position in the EU and subsequently in Croatia as well,” Meter said. 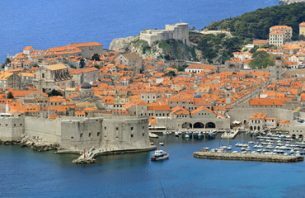 Chinese Premier Li Keqiang is due in Zagreb on the evening of April 9, starting his official visit to Croatia, to be followed by his attendance at the 16+1 meeting in the medieval coastal town of Dubrovnik.